eze and see if carrots could unlock the mysteries of the universe! Trivia 5 - Even More "one liner" trivia items!. 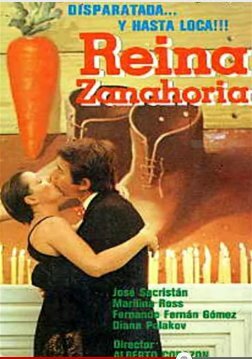 Carrots have been mentioned and used in many films and tv series, here are several located by the World Carrot Museum. If you know of more please let us know. 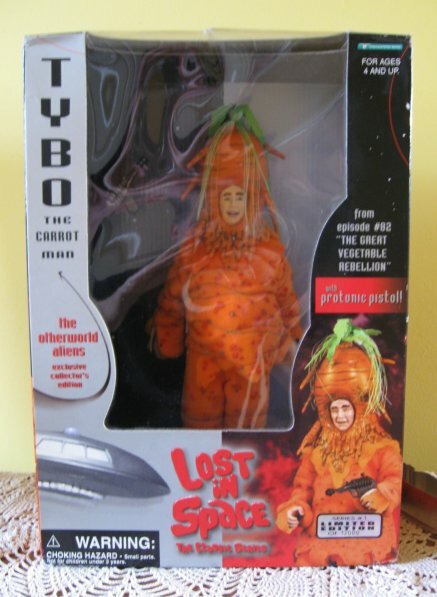 No carrot website can be complete, however, without a link to the 1960's television series episode of "Lost in Space ". Smith lands the pod on a planet where plants are the highest form of intelligence next to the writer of this episode. The Robinsons lands only to be captured by Tybo a giant carrot. He plans to turn them into trees while Dr. Smith becomes a stalk of celery. In this classic episode (season 3 episode 23, 28 February 1968) Dr. Smith is attacked by a giant carrot. Millions of American children feared carrots after this episode was broadcast...and also ran around the house waving their arms shouting "Moisture! Moisture! I need moisture!" whenever they were thirsty! 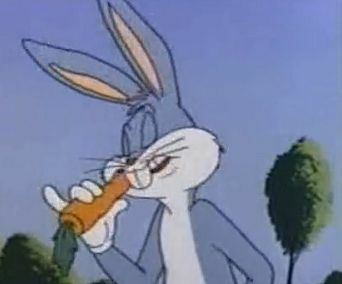 - (from the episode The Great Vegetable Rebellion - On another planet) Dr. Smith plucks a flower, arousing accusations of murder from a giant, talking carrot, who plans to punish the Robinsons by turning them into plants. 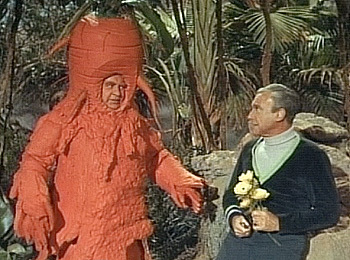 Tybo - An intelligent carrot creature (played by Stanley Adams) who accused Dr. Smith (Jonathan Harris) of murdering plants when he picked some flowers for the robot's birthday celebration on the February 28, 1968 episode "The Great Vegetable Rebellion" on the sci-fi adventure Lost In Space(CBS/1965-68). For his actions, Tybo sentences Dr. Smith to be turned into a plant. Shades of celery stalks! Then Tybo imprisons the other members of the Robinson family space expedition inside a greenhouse force field in preparation for their own flora and fauna transmutation. Of course, everybody escapes the hothouse. In the end, John Robinson (Guy Williams) offers Tybo some water to drink, thus calling a truce of sorts between the animal and vegetable kingdom. Trivia note: In 1997, TV Guide named "The Great Vegetable Rebellion" episode (written by Peter Packer) one of the greatest TV episodes of all times. The episode brought awareness that all living things feel pain and that maybe we should be a bit more open-minded to the issues of other species. Stanley Adams who played Tybo is also remembered for his role as a swindling space trader ("Wanna buy a Tribble?") in the classic Star Trek episode "Trouble with Tribbles." For more information about this cult tv series click here. Youtube clip here. Captain Carrot (real name Roger Rodney Rabbit) is a fictional character in the DC Comics universe, an anthropomorphic rabbit. 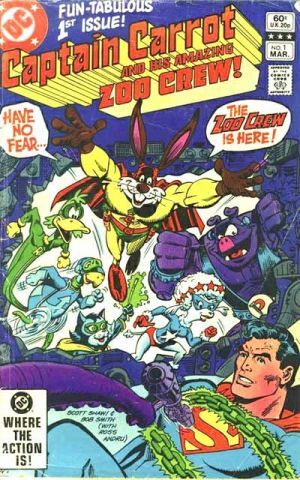 Captain Carrot is a superhero who lives on the other dimensional world of Earth-C, an alternate Earth populated by sentient animals. His first appearance was in The New Teen Titans #16 (February 1982). 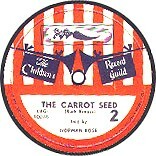 At the beginning of the Captain Carrot series, he was referred to as "Roger Rabbit"; later in the series, "Rodney Rabbit" was usually used, to avoid legal issues involving the literary (and later film) character Roger Rabbit. Read more about this DC Comic Book here. Directed by Douglas McCarthy, Produced by Timothy Cahill & Julie McNally, Distributed by Warner Bros. Pictures. Release date(s) August 25, 1995, Running time 8 min. 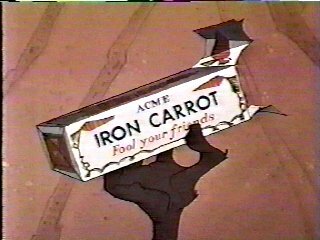 Tagline: The Suspense...The Intrigue...The Carrots! 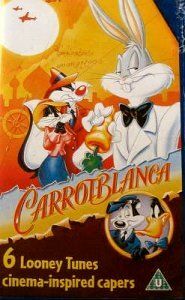 Plot Outline: A spoof of the classic film Casablanca (1942),the film to which it is both a parody and an homage starring Warner Bros.' Looney Tunes characters. Cast: Joe Alaskey as Sylvester and Daffy Duck. Greg Burson as Bugs Bunny, Foghorn Leghorn and Pepe Le Pew. Daddy Day Care starring Eddie Murphy who fights his colleague who wears a giant a carrot suit. YouTube clip here. Greatest carrot moment in the history of movies and tv? 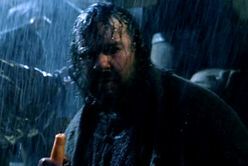 In Gone with the Wind, when Scarlett rips a carrot from the earth and says, "...As God is my witness, I'll never be hungry again." Shoot em up 2007 - In this movie the hero snacks on raw carrots and also uses them as a weapon in several deadly ways. It's worth a viewing as long as you take the movie in the "tongue in cheek" spirit in which its meant. 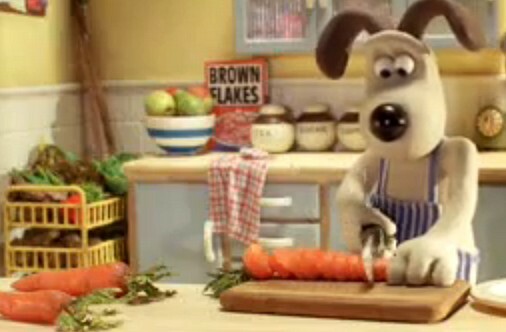 Life's Too Short a brief mention of carrots is made in the Ricky Gervais produced HBO mockumentary Life's Too Short. This is one of the more humorous, albeit short, inclusions of the carrot found in the media. A Youtube link is given below. 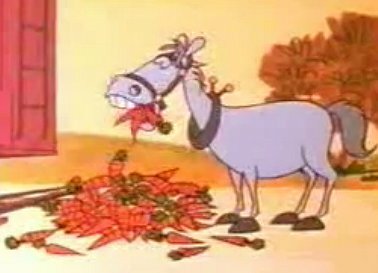 The section comes from episode five of the series and the aforementioned section where the main character Warwick Davis begins to mention carrots starts at around the 1:30 part of the video. Youtube link here. "Opérette-féerie", comic opera (three acts - eleven tableaux). Théâtre de la Gaîté, Paris, January, 1872. 19th century. II. a. the wizard Quiribibi's study b. the ruins of Pompeii c. Pompeii before its destruction d. the royal palace e. the realm of insects III. a. the royal palace b. a market-square c. the royal palace. 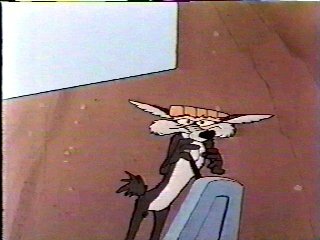 Plot Summary: Bugs goes a little crazy whenever he's standing close to gold, and the trait intrigues claim-jumping Klondike miner Chillicothe (Yosemite) Sam. Full cartoon on youtube here. Cal Howard (story) Full cartoon on youtube here. Plot Summary: Bunny and Claude are still at their carrot caper. This time, they rob a train as the Sheriff is once again called out to stop them. 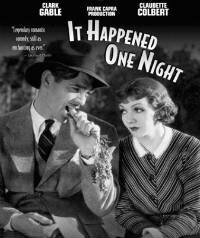 The absolute worst sub-titles notwithstanding, this is a great film because visually the story is clearly told (it is a remake of a silent picture by the same director). And because there is the sweetest pastorale quality about the filming of this picture, like Babe, the pig who-would-be sheepdog. The adult actors deliver an inspired reading; trained in classical theater they were also successful on the stage at the time. The boy who plays Carrot-top (or Carrot-head if you prefer) was discovered walking on the Champs-Elysée. Harry Baur, Catherine Fonteney, and Robert Lynen are superb in the story of a boy devastated by an abusive mother and a distant father. The film shows the fragile, yet resilient childhood world of the boy by employing numerous and ingenious imagery suggesting dreams and fear of the dark. 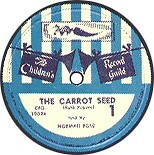 To listen to the full MP3 version of this great Carrot Tale click here.